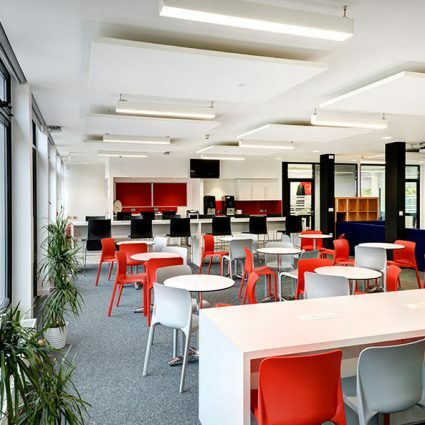 RSS’s design for Mill Hill School Foundation provides a new sixth form centre with dedicated social and study spaces. 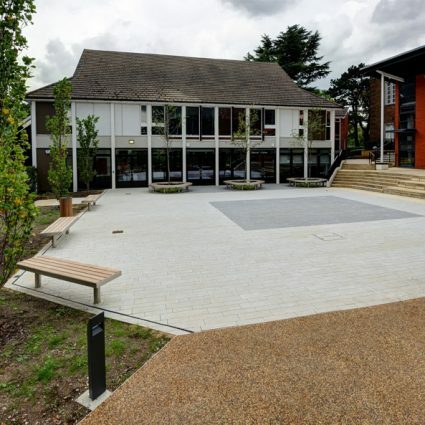 The site for the new centre is located in the northern part of the main school grounds which fall within the Mill Hill Conservation Area. 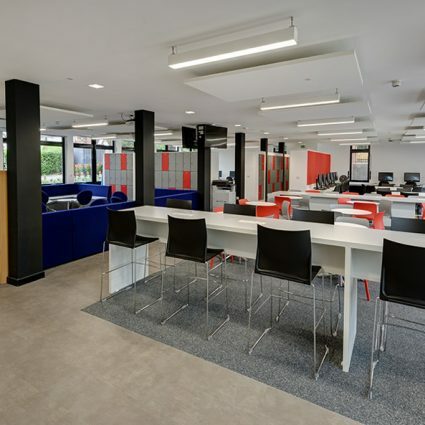 The centre is located on the ground floor of an existing late 20th building with new large window openings onto a landscaped courtyard. 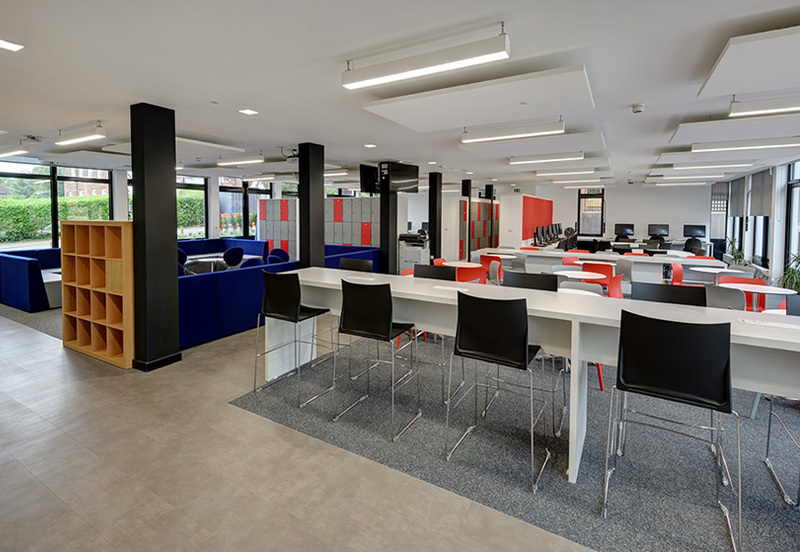 The centre comprise a single large space which is partially sub-divided with bespoke storage walls to create 4 distinct activity areas within a coherent whole. 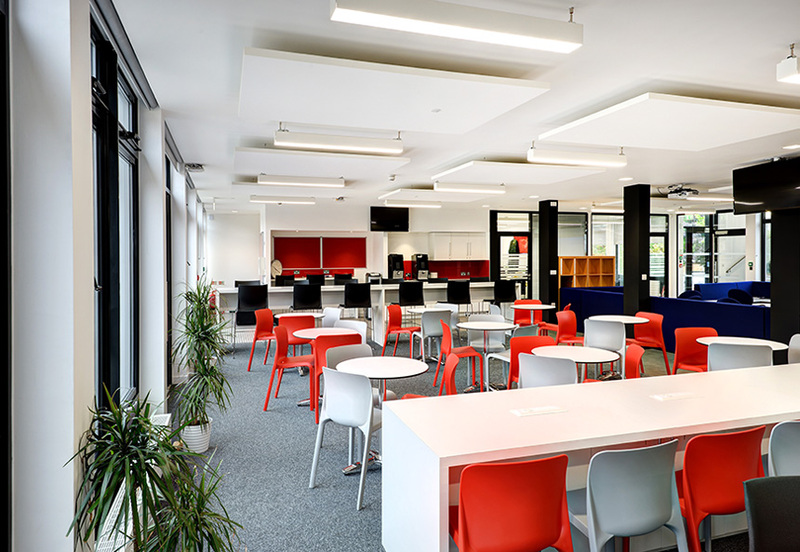 A new stair extension on the north elevation creates a link up to the existing first floor 6th form café. 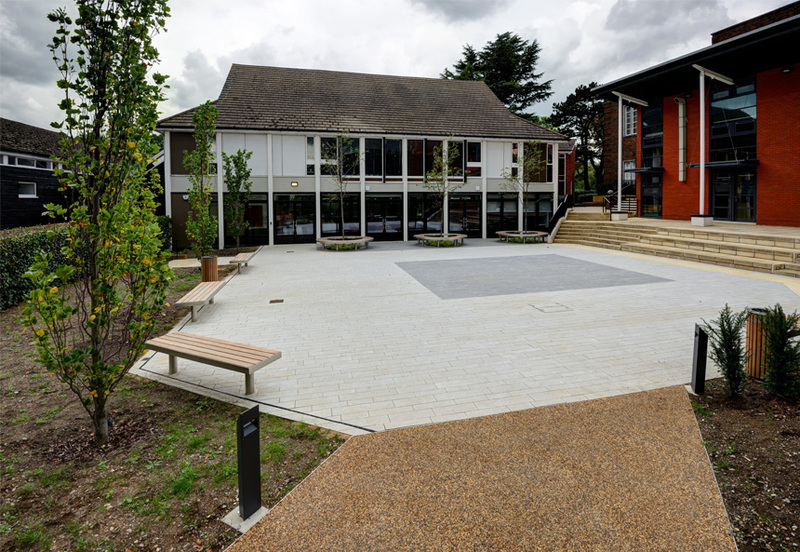 The courtyard and routes around the outside of the building have been remodelled to create a new external focus at the north end of the school with new paving, trees, seating and lighting. RSS also carried out a strategic planning exercise which resulted in the design and delivery of seven consolidated day houses.